Most students prefer USA for their higher studies. So, it is very important to choose the correct institution. Here, we discussed about top tuition free universities in USA for the international students. Webb Institute is an Exceptional College of Engineering. At Webb, everyone gain a real life, an awesome experience in engineering. Its curriculum is based on the best systems approach and carefully designed. You can apply for Webb Institute here. All requirements for applying are here. The Webb Institute also offer many scholarships. You can find all scholarships here. 2. City University of New York (CUNY). City University of New York also offer full tuition free scholarship to all students who join their teacher’s academy. There are also more than 1000 scholarships, awards, and special program opportunities at CUNY. All of these are awarded on basis of academic result. You can find all news about scholarships here. Berea College is one of the top colleges in USA that awards every enrolled students a no tuition promise. It provides an opportunity to make you a debt free Graduate. When anyone enroll at Berea, his/her scholarship will be provided by people. You can look at a glance about tuition free here. 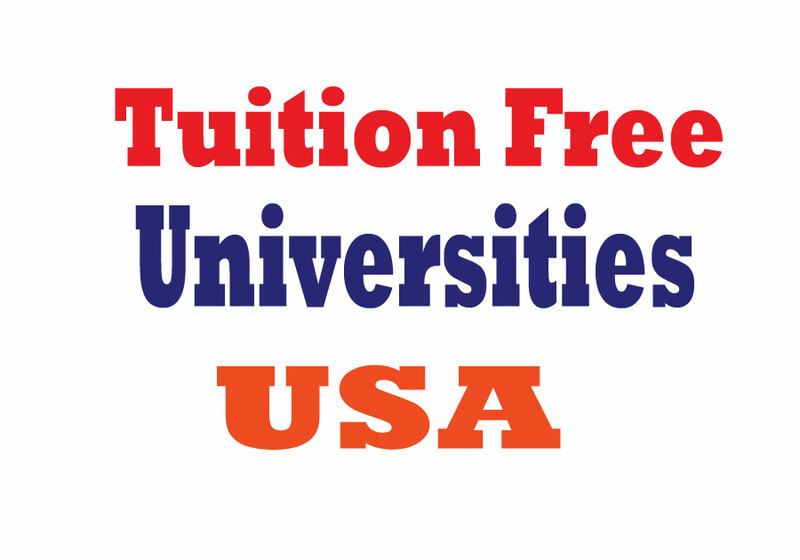 Washington State University offer tuition free opportunity for many students. The students who meet State need Grant or Pell Grant Requrements are eligible for tuition free. Some special scholarships are also given among meritorious students. Get all news about admission at this university here. This college offered about $50,000 per student for full scholarship for two years. After completing study here, most students transfer to a 4 years instituition to complete their Bachelor’s Degree. 6. Curtis Institute of Music. The Curtis Institute of Music also offer full tuition scholarships who admitted here. This college only accept 160 new students per year. This college is one of the best music conservatories in the world. All news related student expense are here. This college awards tuition guarantees for residents who are eligible for admission. Students can also involve here student work program. Get all news about admission and scholarship here. It is conservative Christian school in Missouri. This college offers scholarship who are considered financially in need. Here, every student participate in the on campus work program for about 15 hours per week. Earning from this participation meet each student’s full tuition charge. Know more here about this. 9. United States Naval Academy. It is an undergraduate college for naval service. The Naval Academy prepares young men and women to become professional officers in the US Navy and Marine Corps. This academy offers full free tuition who can attend here. 10. Franklin W.Olin College of Engineering. At present, this college offers a complete tuition scholarship to any anybody who gets admitted here. It has reduced it’s hard scholarship policy. It also offers some others scholarship based on merit to meritorious students. To apply Click here.